A GOOD look at dwindling fish populations. Per capita fish consumption has doubled in the last 50 years. 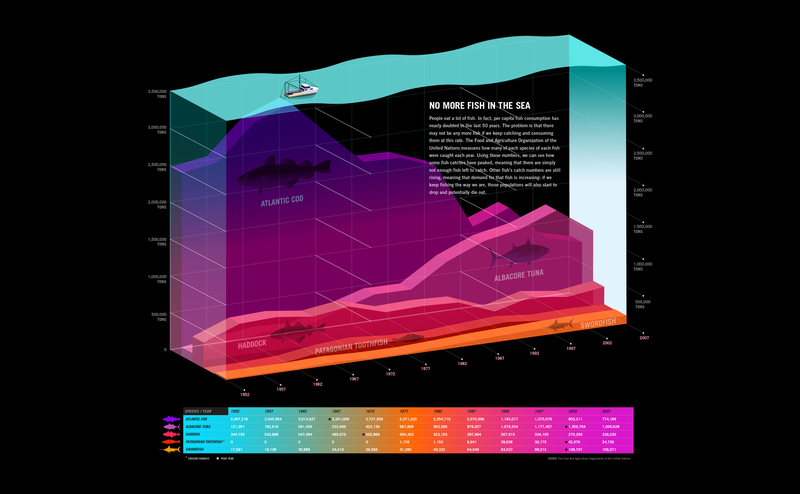 Created for GOOD magazine's Transparency series, this particular infographic looks at popular fish species and their projected population counts if current rates of consumption continue.